Walking the Pennine Way will take you through England's finest countryside. 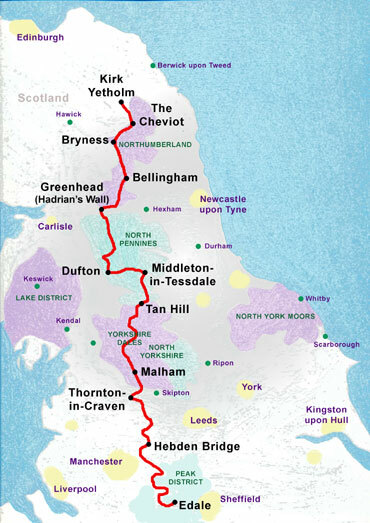 In terms of scenic grandeur, from the Dark Peak of its Debyshire beginnings, through the spectacular limestone of the Yorkshire Dales, the Teesdale Valleys and high fells of Alston, along Hadrian's Wall and over the Cheviots, all the way into Scotland, the Pennine Way has it all. This option is for those with a high level of fitness who are used to walking long distances over several days. The average daily mileage is just over 19 miles and there are 3 very big days involving distances of 25 miles or more and with over 4000 feet of ascent. Arrive at Edale and check into your accommodation. This is our suggested itinerary for comfortably completing the Pennine Way. This option splits the route into 15 stages with an average daily mileage of around 17 miles and just one longer stage on the final day over the Cheviot of approximately 25 miles. This last stage can only be further split by a long detour involving considerable descent and subsequent re-ascent to rejoin the route. If you have the time, this is arguably the best way to walk the Pennine Way. The average daily mileage is just 13 miles and the longest day is 16 miles. A more relaxed pace also means time for interesting detours such as a walk through Goredale Scar or an ascent of Ingleborough, a visit to Bronte's parsonage in Haworth or a Roman Fort on Hadrian's Wall. On this southern section you begin walking the Pennine Way in the Dark Peak district of Kinder Scout and Bleaklow. Passing along gritstone edges and across lofty hills, you descend into industrial history in the Calder Valley before rising again to the bleak moors of Bronte country. This section ends in some of the most spectacular scenery of the entire Pennine Way, the dramatic limestone country of Malham Cove. The Central section of the Pennine Way starts with some quintessential Yorkshire Dales walking. After passing Malham Cove, Pen-Y-Ghent, Great Shunner Fell, Wensleydale and Swaledale you will climb up onto high moors and pass the highest pub in England before descending to the Tees Valley. Here you track west across the country and the section finishes on a scenic high with the spectacular geological theatre of High Cup Nick. Arrive at Malham and check into your accommodation. The Northern section of the Pennine Way begins in the Pennine moorland village of Dufton close to Appleby. It traverses Cross Fell to Alston before heading east, following Hadrian's Wall before turning north once more. You will walk through great swathes of forest and the Northumberland National Park before climbing The Cheviot. On this section you reach the Scottish border and the end of the Pennine Way. Arrive at Alston and check into your accommodation. MALHAM (Central Section): The easiest way to reach Malham is to take a train to Skipton and then a bus from there to Malham. There are four buses daily between Skipton and Malham taking approximately 40 minutes. From Monday to Saturday the last bus leaves Skipton at 1600 and on Sundays the last bus is at 15.30. DUFTON (North Section): There are only limited bus services to Dufton itself. 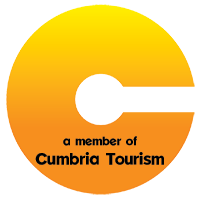 There are regular buses (Monday to Saturday) from Penrith Railway Station to Appleby taking approximately 40 minutes and from Appleby it is possible to take a taxi (3 miles) to Dufton. There are no Sunday services. Appleby is also a stop on the scenic Settle to Carlisle railway line. RETURN from KIRK YETHOLM: You will need to take a number 81 bus to Kelso and from there, a number 67 bus to Berwick on Tweed. This journey will take approximately 1 hour 40 minutes. There are regular train services from Berwick. The journey time from Berwick to London is between 3 hour,s 45 minutes (direct) and 4 hours (change at Newcastle) and from Berwick to Manchester (via Newcastle or York) is approximately 3 hours, 30 minutes. Although the Pennine Way keeps generally to the hills and moors, you also pass through several villages and towns along the way and as much of interest as the ever-changing natural scenery, is the variation in community reflected in architecture, custom and dialect on this great northward journey along the Pennine spine of England. The walking on the Pennine Way is nowhere very difficult, but two hundred and fifty odd miles is a long way and the completion of the whole Pennine Way is a real and enjoyable challenge.